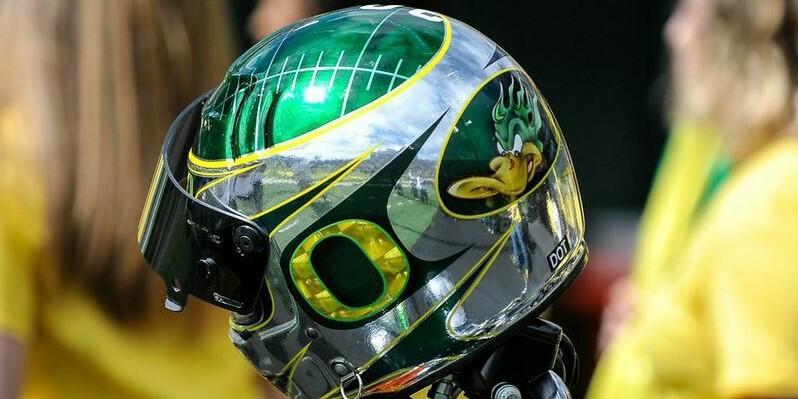 Starting on Tuesday, March 31st, Oregon will officially open up their facilities to kick off spring practices. The NCAA permits only 15 spring practices, which Oregon will take advantage of in order to prepare and showcase old, along with new, talent. 1. Who’s going to step up on the offensive line? The departure of T Andre Yruteagoyena adds to the possible lack of leadership the offensive line will have next season. Luckily, some likely candidates to fill in the leadership gap could be T Tyler Johnstone and T/G Matt Pierson who have been with the football program the longest out of all offensive lineman. Any of these individuals can be pivotal for the Ducks down the stretch of a long season. On top of that, Oregon commit and 4-star prospect, Zach Okun, could be utilized as a replacement for Yruteagoyena. Tyner racked up more than 500 yards last season, despite suffering an ankle injury mid-season. 2. Who’s part of the running back core? Last season we saw RB Royce Freeman and RB Thomas Tyner operate most of the run game. At times, we witnessed RB Byron Marshall take some shots at running the ball. Freeman, Tyner, and Marshall are all coming back this year, but the question is how are the Ducks going to fit incoming true freshman Taj Griffin and redshirt freshman Tony James into the mix? There could be a probability that Marshall would be utilized as a slot receiver, similar to last season. In that case, the running back core will be a combination of Freeman, Tyner, and Griffin. Or instead of Griffin being the third option at running back, the Ducks would stick in James. During his senior season at high school, Griffin tore his ACL and has been recovering from the injury ever since. It would be wise, in this case, to give Griffin time to rehabilitate from his injury until it’s completely 100%. 3. Who’s going to fill the vacancies at defensive back? It’s likely that CB Chris Seisay will be taking either Ifo Ekpre-Olomu‘s or Troy Hill‘s position. Plus, S Reggie Daniels is among the top candidates to take over for S Erick Dargan‘s position. But, the odds of both Seisay and Daniels fulfilling these roles are solely based on the assumption that they were productive for Oregon football last season. The last DB vacancy will be up for grabs, though, as the competition will include highly-touted redshirt freshmen Mattrell McGraw and Khalil Oliver as well as sophomore Arrion Springs.